Australia celebrated last week when the national gender pay gap was declared the smallest it has ever been. 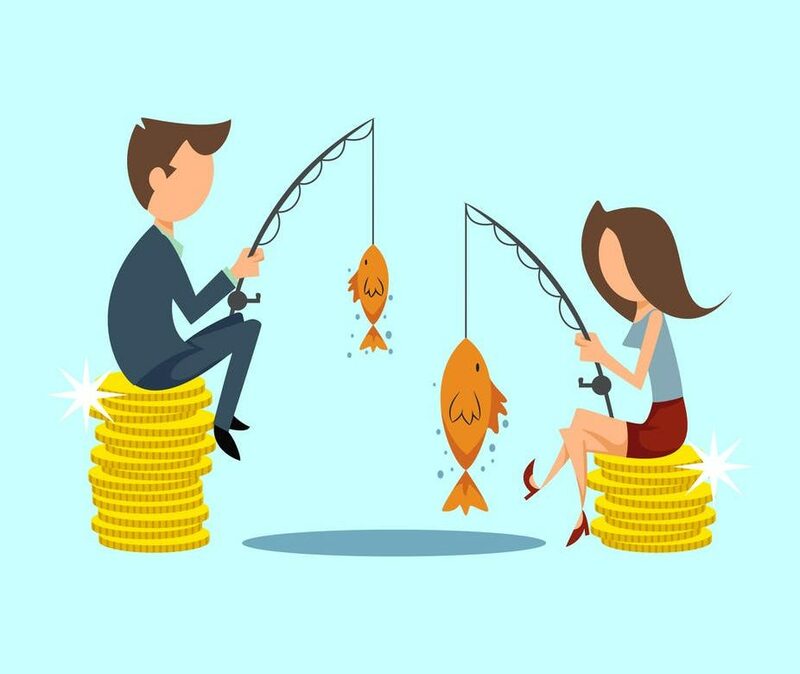 According to the Workplace Gender Equality Agency, a woman’s full-time base salary is 16.2% less than that of a man, and total remuneration on average is 21.3% less than men. The pay gap in Australia has declined over the past year, at the Senior Management level and for the Labouring sector in particular. Meanwhile, female-dominated industries including Healthcare and Social Assistance has seen an increase for the second year in a row. Now, let’s get this out of the way: the gender pay gap exists. Global and national government data, information collected by NGOs around the world, and reviews conducted by individual employers have all found this to be true. This article is not an opinion piece; it is a discussion of how the gap is defined, how it presents in the workforce, and how we can address it. The gender pay gap is defined by the WGEA as “the difference between women’s and men’s average weekly full-time equivalent earnings, expressed as a percentage of men’s earnings.” Calculations are made by industry, manager and non-manager roles, superannuation and bonuses. An analysis of all the categories provides an indicator of women’s overall position in the workforce. The data compares a woman’s average full-time salary with that of a man, so considerations including women leaving the workforce or working part-time to raise children, etc, are already accounted for. After these adjustments are put in place, the numbers still tell the same story: there is a gender pay gap. While our gap has gotten smaller here in Australia –we’re globally ranked at number 35 out of 144 countries, moving up three spots from 2016-2017 due to increases in female parliamentarians, legislators and senior officials and managers – we’re nowhere near being the worst, but we certainly aren’t winning any prizes. Countries in the Top 10 for lowering their gender pay gaps are characteristically active in engaging women in the workforce, recognising that gender parity, or wage equality, is essential to the prosperous growth and development of their economies – that is, closing the gender pay gap is a win-win. There are many, many factors that influence the gender pay gap. Employment discrimination plays a large part, but there are so many other considerations; women face increased bias when interviewing for jobs during years where they are most likely to become pregnant; are more likely to have their performance review based on personality as well as their ability to perform their role; and the ability to work long, inflexible work hours is still lauded as the ideal, which unequally limits the ability of women to rise to senior positions – and also notably can be to the detriment of men by pressuring them to spend longer at work and less time at home to gain respect in the workplace. No one is a winner in that kind of situation, and the concept of the care’ principle – that women are the natural carers, not men, has dire consequences on female employment, pay and quality of life. Statistically women spend more time performing unpaid care work, for their children and parents, for example, and this has unfairly devalued the paid care industries of nursing, aged care, early childhood education, residential care and care for people with disabilities. People working in these industries earn a salary that often barely enables them to access the very services they provide; many workers in the aged care system, for example, are nearing the age of the people they care for before they have earned enough to retire; early childcare workers frequently report having to leave work because they cannot pay for care for their own children. Many of these industries also do not offer full-time employment, meaning that employees rely on casual or contract work, rotating rosters and limited flexibility for women, and this then impacts on the amount of superannuation a woman is able to save, the age at which she can retire, and at what quality of life – did you know that the biggest demographic of people living in poverty and homelessness is women over the age of 55? Around the world, women are realising that they are worth more; and employers are starting to act: We have seen an encouraging increase the number of employers reviewing their payrolls with a gender lens, and 60% of those took action to fix the gaps they found; the industries most likely to take action according to the WGEA are Mining, Information Media and Telecommunications, and Financial Insurance Services. Interestingly, male-dominated industries seem far more likely to take action on the gender pay gap than female-dominated industries at this time, with the retail industry reportedly one of the least likely industries to act on the issue, again demonstrating structures in place in female-dominated industries to restrict wage-earning and upwards – sidewards – mobility. Still, there are promising signs; the average education level is increasing; male-dominated industries are becoming more open to employing women; parental leave and flexible working arrangements are becoming more accessible for both men and women with the purpose of sharing the burden of care to anyone, including mothers, fathers, grandparents and legal guardians – and slowly, over time, the situation is improving. The decrease in Australia’s gender pay gap from 2017 to 2018 was the biggest yet! But let’s not stop now – this is the time when action is needed, and when complacency could be fatal. You can find a summary of the WGEA report findings here.